Riverside South – Bousfields Inc.
Bousfields has been involved in the planning for the Riverside South community since 1986. Riverside South is a new community with a planned population of 55,000, which also includes a business park area associated with the adjacent Ottawa International Airport. 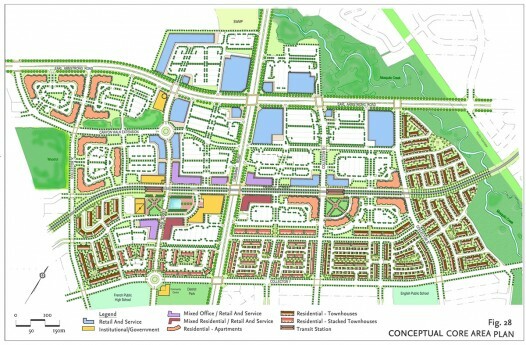 Bousfields was retained by the City of Ottawa and Urbandale Corporation in 2002 to prepare a Community Design Plan to guide the expansion of the community beyond the current phase of the development (existing population of 5,000). The Community Design Plan reflects the principles of Transit-Oriented Development (TOD), incorporating a rapid transit corridor integrated with nodal development around the stations and a Community Core Area. The Community Design Plan was approved by City of Ottawa Council in June 2005.